United Sikh Mission today welcomed the Pakistan government’s initiation to open the a peace corridor for Sikh Sangat. 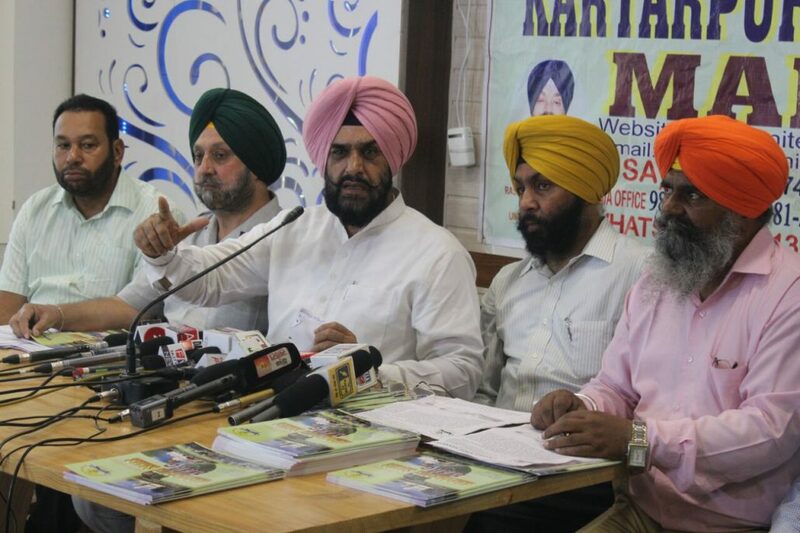 While addressing the media persons here Mr. Amarjeet Singh Tikka, coordinator of the mission praises Navjot Singh Sidhu’s friendly visit to Pakistan to attend the oath ceremoney of newly elected Pakistan PM Mr. Imran Khan, which led to the positive initiation by the Pak authorities towards Sikh Sangat. He also appriciated Punjab CM Capt. Amrinder Singh for raising issue with Center Government. Singh told the scribes that in 2010 United Sikh Mission requested then CM Punjab for taking up this issue with the Pak Govt. to Union Government of India. AS the result then Punjab govt. passed a resolution in Assembly on 1st October, 2010 and forwarded it to Union Government for construction of this corridor. Apart from this, Former President Sh. Pranab Mukharjee during his stent as Foreign Minister made efforts in this direction. United Sikh Mission expresses its gratitude to Captain Amrinder Singh CM Punjab and other MLAs from other parties of Punjab for again unanimously passing this resolution in the Vidhan Sabha and forwarded the same to Union Government. They also thanked Navjot Singh Sidhu for initiate taken by him in this regard. Gurudwara Kartarpur Sahibis a place situated at Narowal in Pakistan where Guru Nanak Dev Ji spent last 17 years of his life. Guru ji was revered bu both Muslims and Sikhs. At this place Guru Angad Dev ji became successor of Guru Nanak Dev ji. Keeping in view the religious importance of Gurudwara Kartarpur Sahib, United Sikh Mission America makes its earnest appeal to the governments of both countries to work for construction of this corridor. It will usher a peaceful era with cordial relation for both these countries. At this juncture, United Sikh Mission America expresses its offer to construct this peace corridor at their own level with the blessings from the Sangat all over the world. as per depicted in the map a bridge on the Ravi river and other small bridges on the tributaries will also be constructed. In addition to the above, all necessary facilities on both the sides of the corridor will be provided to the visitors by Mission.